Pull apart caramel rolls in the bread machine. These delicious rolls are made from scratch. 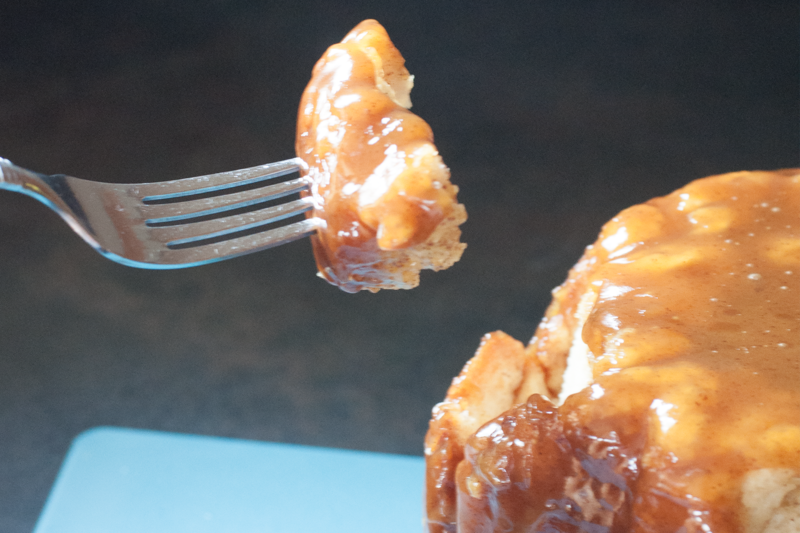 Topped with a gooey caramel sauce. Hello and welcome! I have to admit this recipe was a bit of an experiment. It uses our bread machine buns dough recipe (there are endless ways to use this recipe!) combined with our traditional pull-apart recipe. You may be wondering – what is a pull-apart? 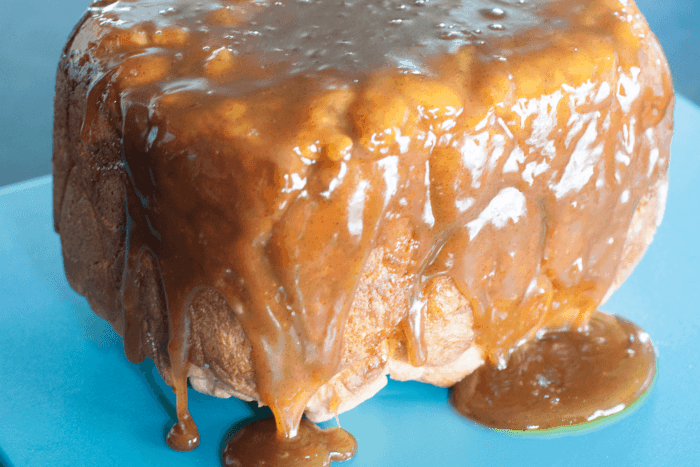 It’s a delicious breakfast bread (made like monkey bread with pull-apart pieces) covered with ooey-gooey caramel sauce. This bread frequents our family get-together breakfasts, post-wedding gift opening brunches and many other special occasions. You’ll need a bread machine. Here is the kind I use. If you don’t have one, add it to your wish list! They are awesome. We’re going to make the dough in the bread machine and let it continue through the rise cycle. 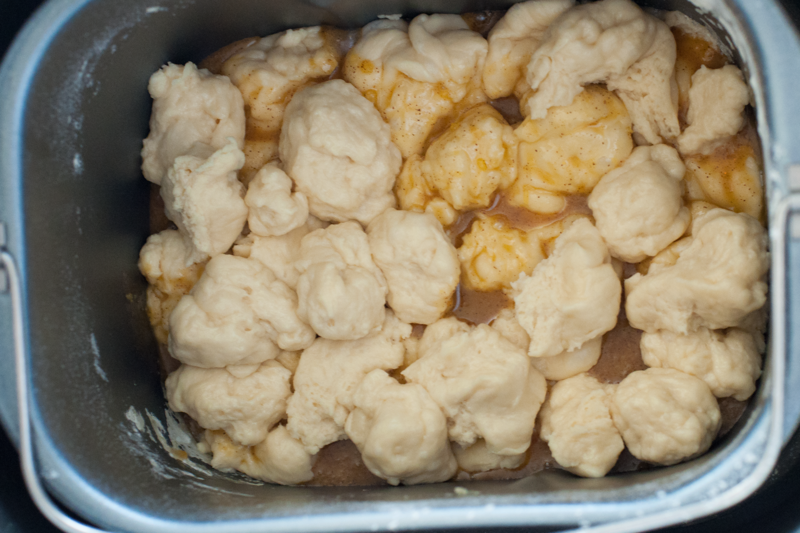 Then we’ll pull apart the dough into smaller pieces and add the caramel sauce at that point. Make sure to add all of the ingredients in order to your bread machine pan. 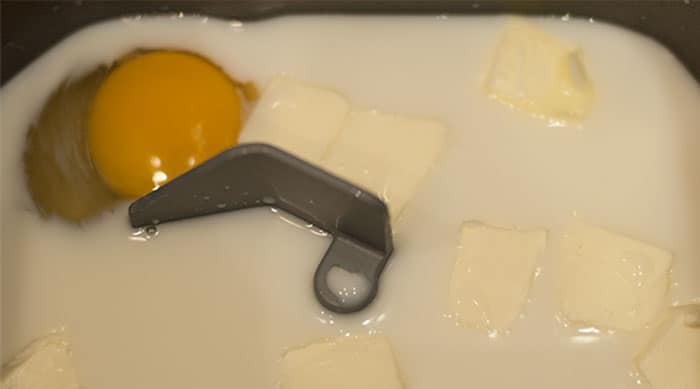 Measure 1 cup of milk and add the egg. Warm both in the microwave until lukewarm (about 30 seconds). Add to your bread machine pan. 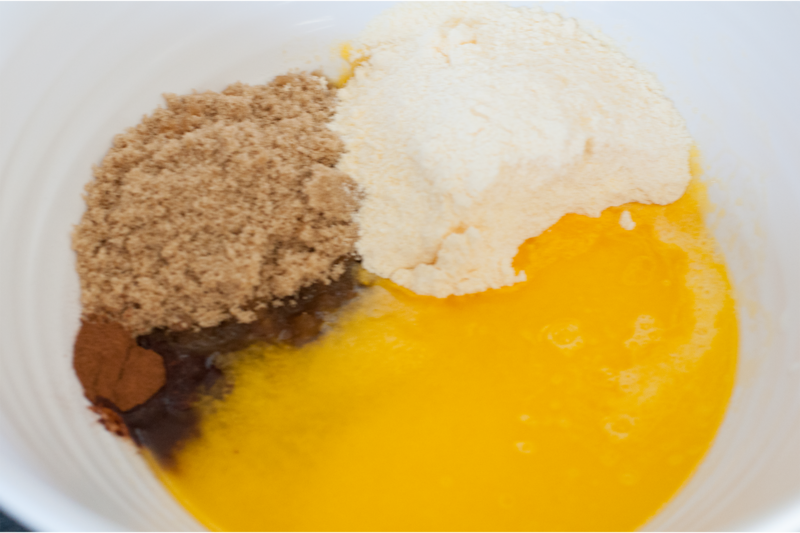 Next, add the 2 tablespoons of butter – cutting it into pieces. Then add all of the dry ingredients in order. 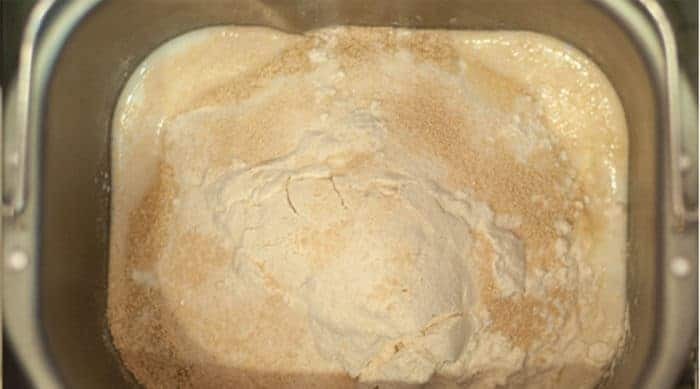 3 cups of flour, ¼ cup sugar, 1 tsp salt and 1 ½ teaspoons of active dry yeast (room temperature). Set the bread machine to the basic white cycle and press start. 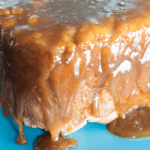 While your bread is mixing and kneading, you can make the caramel sauce. Start by melting 1/2 cup of margarine. Then add 1 cup brown sugar and 1 large package of cook & serve vanilla pudding. (Do not use instant pudding! The sauce will be thick and chunky, I’ve learned from experience!) Next, add 2 tbsp milk and 1/2 tsp cinnamon. Mix well. It should be smooth and fairly runny. 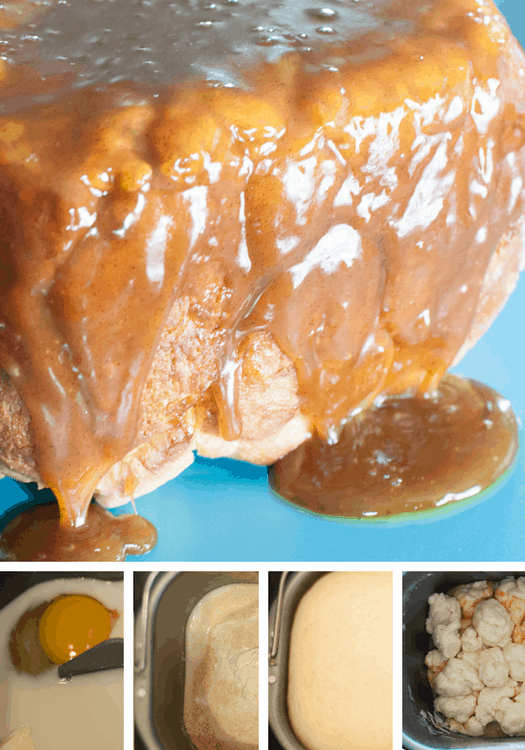 Once the bread machine hits the rise cycle, it’s time to form the pull-apart and add the caramel sauce. First, grease your hands with shortening and then take the dough out of the bread machine. Also, remove the kneading paddle. Then take half of the bread dough and tear off small pieces and add back to the bread machine. Pour half the caramel sauce over the bread dough chunks. Repeat with the second half of the bread dough and the caramel sauce. Close the bread machine lid and continue the remainder of the bread cycle through baking. When the timer goes off, take the bread out and immediately turn it over onto a large platter, pan or cutting board. Most importantly — test a piece, it is so yummy right from the oven! 🙂 Enjoy! P.S. – if you don’t have a bread machine, you can still make this recipe in a 9X13 pan with frozen bread dough, or make the homemade dough for this recipe and let it double in size before forming the pull-aparts. Then let it rise again before baking 20 minutes at 350 degrees in the oven. The bread will be golden brown when it’s done. Please stop by and say hi in the comments, let me know what you think of this recipe and what your favorite breakfast bread is. 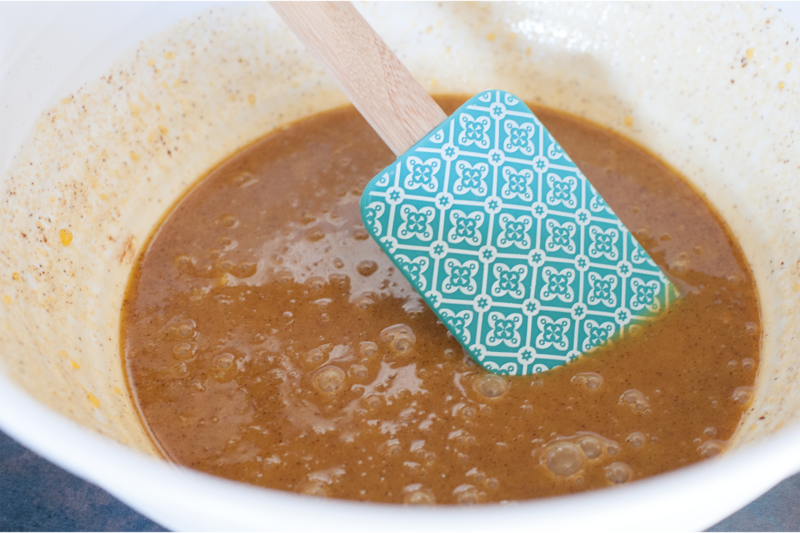 While your bread is mixing and kneading, you can make the caramel sauce. Start by melting 1/2 cup of margarine. Next, add 2 tbsp milk and 1/2 tsp cinnamon. Once the bread machine hits the rise cycle, it’s time to form the pull-aparts and add the caramel sauce. First, grease your hands with shortening and then take the dough out of the bread machine. Also, remove the kneading paddle. Then take half of the bread dough and tear off small pieces and add back to the bread machine. Pour half the caramel sauce over the bread dough chunks. Most importantly — test a piece, it is so yummy right from the oven! Enjoy!